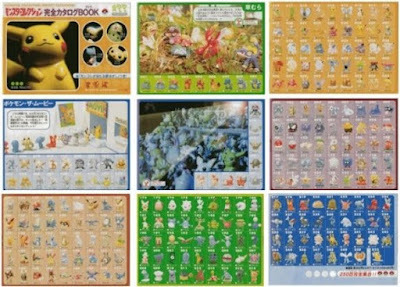 This catalog covers Pokemon figure Tomy Monster Collection (Moncolle) Gen1 & Gen2 251 figures. It was published in May 2001, attachment of Shougakukan CoroCoro magazine Vol. 275. Hoping it's useful info for your hunting !